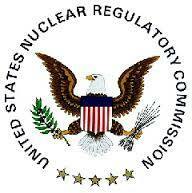 The Nuclear Regulatory Commission (NRC) has scheduled a public presentation during the Clinton Area Chamber of Commerce and Tourism Bureau’s business expo, April 1, for officials and community members to discuss the agency’s annual safety performance review of the Clinton Nuclear Power Station. The expo will be held at Clinton High School, located at 1200 Highway 54, in Clinton, Ill., from 4 to 7 p.m. The NRC uses color-coded inspection findings and performance indicators that escalate from green to white, yellow and red: codes that signify the safety level of the issue. The NRC’s five-column action matrix reflects overall plant performance and agency response with the first column requiring a baseline level of inspections. If a plant slips into another column, an increased level of NRC oversight and inspections will follow, until the agency regains confidence in the plant’s ability to perform safely. The plant is located about 23 miles southeast of Bloomington and is owned by Exelon Generation Co.